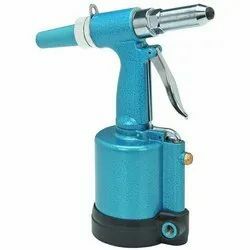 We are offering 3/16" Hydraulic Riveter to our client. Rivet Diameter: 5/32", 3/16", 1/8"
Stroke length: <1", 1" - 2"
Rivet Diameter: 2.4, 3.0/3.2, 4.0, 4.8/5.0 mm or 3/32", 1/8", 5/32", 3/16"
Min Air Hose: 5/16" I.D. Air Hose: Up to 3/8"
We are a leader in supplying Air/Hydraulic Riveter - Heavy-Duty Vacuum System.